With all the holiday baking, I think my most favorite is decorating Christmas cookies. and let’s face it, Decorated Christmas Cookies are always the prettiest cookies on the tray and they make a fun gift as well! I have a secret though……… I don’t really “enjoy” doing it because I’m still learning and the perfectionist in me struggles with lines that aren’t straight enough, icing that is too thick/thin, too many colors to mix…..well you get the idea. But 14 hours later…………I see happy faces! No one cares that my lines aren’t perfect. These Santa Belly Cookies were loved by everyone! 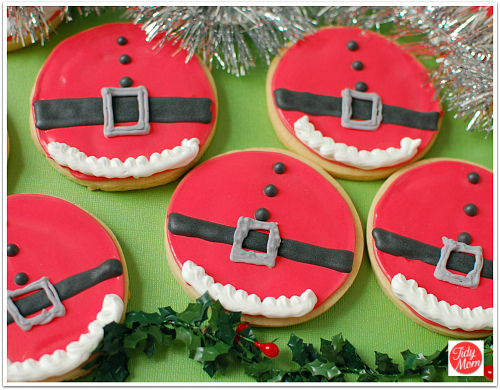 CHECK OUT HOW EASY SANTA BELLY DECORATED CHRISTMAS COOKIES ARE TO MAKE! WATCH THE VIDEO! No one cares that my icing isn’t perfectly smooth. 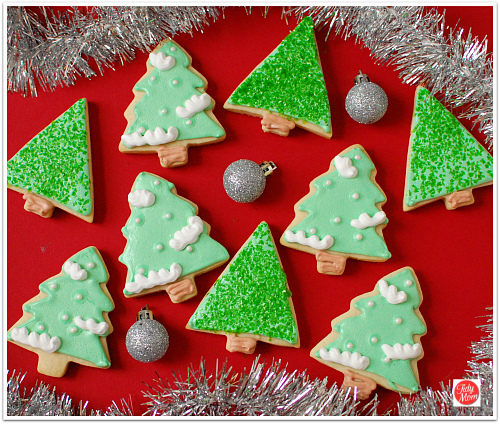 Decorated Christmas Tree Cookies are so simple and just as fun to decorate as a real tree! or that I didn’t feel like mixing ONE MORE COLOR, and made my snowflake cookies white and silver because I already had those colors mixed. I did learn two new things this time while working on my cookies! 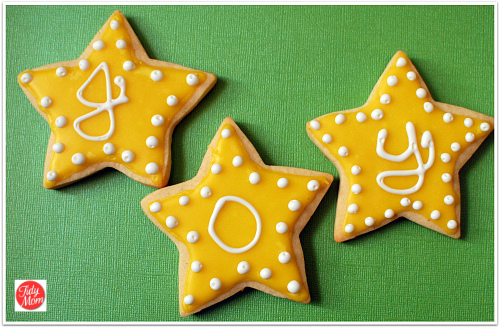 #1) Glaze Icing: When I cut out stars to make my Raspberry-Filled Butter Cookies, I baked a few of the stars to try my hand at glaze icing. I have to say……….I LOVED working with the glaze! I didn’t have some of the issues I have with royal icing. The glaze icing gets hard, but not rock hard like royal icing. My family loved it and gave it a big THUMBS UP! 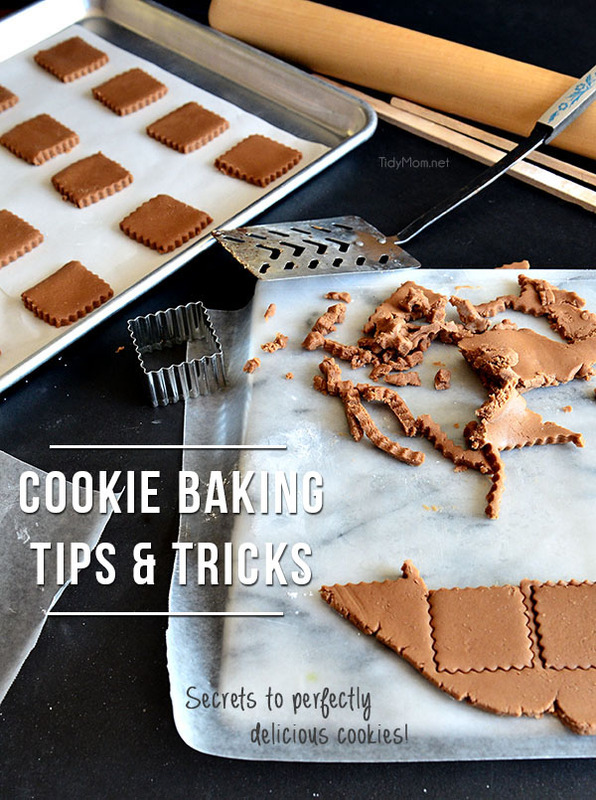 Have you learned anything while doing your holiday baking? Do you LIKE decorating cookies? 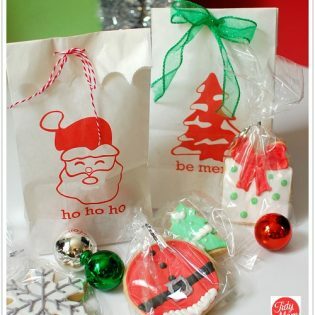 Like these Santa Belly Decorated Christmas Cookies? Pin IT! Bwahahaha!!! That is SO funny, Cheryl!!! Best photography tip, EVER! Your cookies are *precious*! Love the Santa bellies and the trees and the snowflakes….well, all of them! LOL! Love the photog tip!! You so went there and I LOVE it!! Your cookies are ADORABLE!! Love the santa ones, and really, I have totally been there with not wanting to mix ANOTHER color of icing…blah. I have yet to try the glaze icing but have been very curious. Do the cookies smudge if stacked? What a great job with those cookies!! I think they look great, but I am the same about things looking perfect! haha……….trust me, it wouldn’t be pretty! I love decorating sugar cookies, a new obsession, and honestly I always use a glaze, love, love, love it, so simple, and it does dry enough to stack!!! Love your post and will have to remember the photo tip!!! ha ha!! I can’t wait to try the glaze again! I love your snowflakes, they look great!! I too am a perfectionist when it comes to the cookies so most of the time I just give up….you inspired me not to! Thanks!!! no matter how they look, they still taste yummy! Don’t give up! Those star wars cookies were AWESOME! Beautiful cookies. I have cookie envy, this year I lived vicariously off of the generosity of others when it came to cookies. I think we all learned our lesson about the objects that reflect and tea pots, when that man took a photo of a stainless steal teapot he put on eBay, he wasn’t wearing any clothes. not the traffic I want! hahaha Thanks Kristan! I’ve learned it’s much easier to do just a few at a time!! Thanks so much! These look great. Boy, if you are struggling, then I am in big trouble! Love the J-O-Y stars. 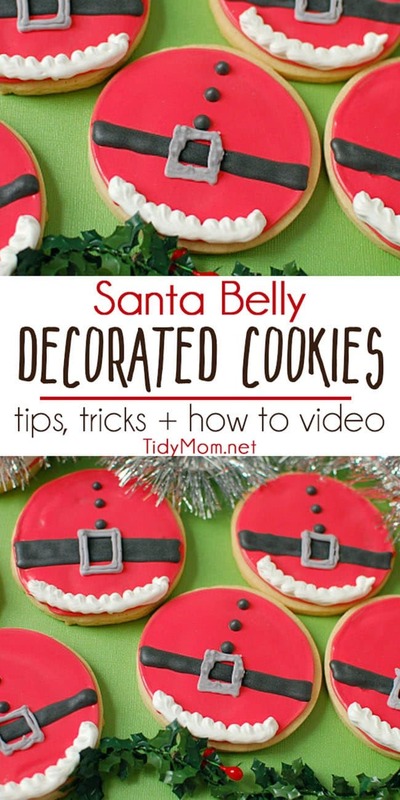 I have been wanting to make Santa belly cookies too! They are so cute! 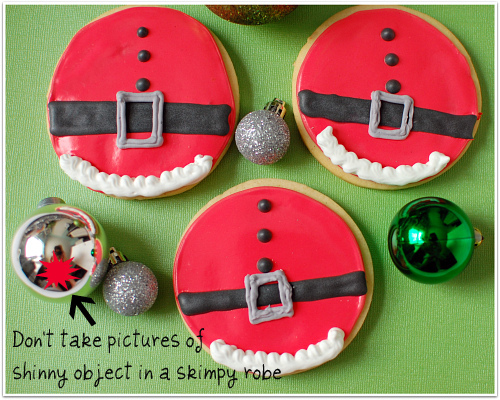 Though I love all of your Christmas cookies, my favorite part of this post might be your “Lesson in Photography” tip #2:) That cracked me up! you’re so funny! And too crafty and sheesh… I wish I had time for all the goodies! You made me laugh out loud with your photography tip! Good thing that you didn’t place a giant Christmas Ball there. LOL! 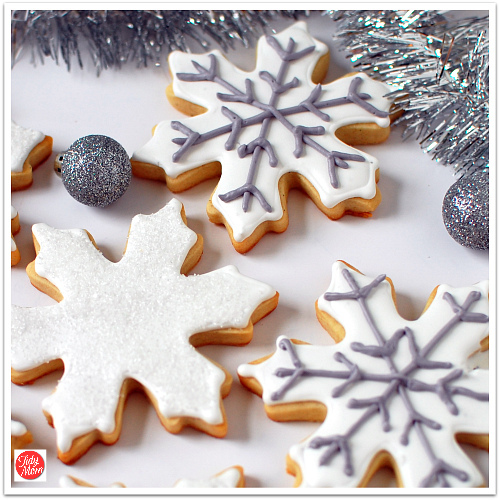 Your cookies are wonderful and I like the silver snowflakes. Best wishes to you and your beautiful family for a lovely Christmas and wonderful New Year. 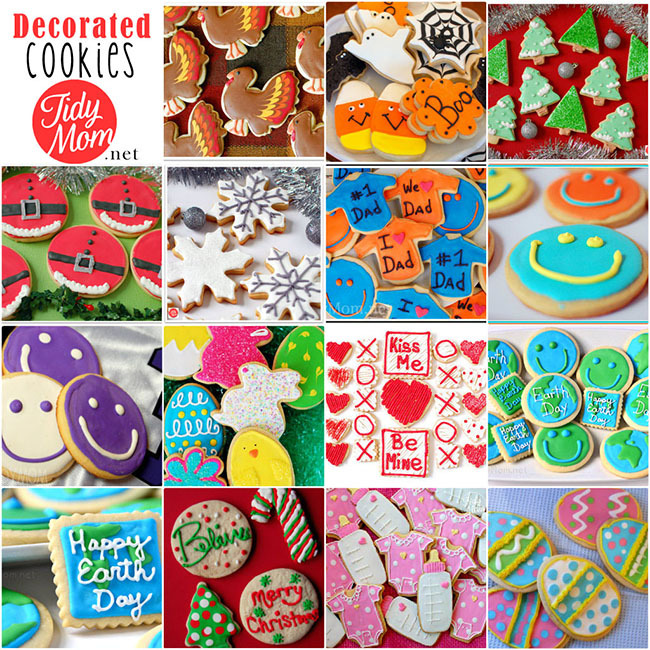 You inspire me to decorate some cookies this afternoon! I love your christmas cookies!! And yes, I have experienced the issue with the shiny objects myself on some occassions… lol.. BAHAHAHAHA!!!! Oh my word, Cheryl! That is the funniest thing ever!!! OH…I am smitten with those snowflakes! SO pretty! I’m glad it’s not just me who had trouble with the ornaments this year. I took all these beutiful pictures of my Christmas tree, then was sad to have to majorly trim the pictures. Trust me, nobody would want to see me in my bathrobe and no make up! All your cookies are pretty, even if you don’t think they are perfect. I learned a long time ago that if you don’t point the imperfections out, when it comes to food, most people won’t even know or care. I’m just jealous you have sugar cookies. Nobody but me is too fond of them in my family, so I haven’t really had homemade ones in years. I might try to do some this year if I can find the time. Thanks for the excellent photography pointer! Too funny. Your cookies look gorgeous! Almost too pretty to eat. Nice work they turned out great! Love the idea of the glaze. If I get time I will try your adorable Santas. I would love to put those out on the plate on Christmas Eve, and I wouldn’t mind having to eat them to cover up the evidence. So so cute. I too love iced Christmas cookies and struggle with the same thing. However, my family does not care about how beautiful my icing is they just want the cookie. These are seriously the cutest things EVER! I’m Jewish and I want to make them! Your Christmas Cookies are some of the prettiest I have seen!! Just beautiful. Thanks for posting. TOO cute, and thanks for the laugh! First of all, I am appalled that you even THINK about anything BUT decorating cookies…Not like it?! I’m calling Bridget and staging an intervention 😉 Second of all, I just startled Bernie LOLing at the robe thing! No wonder I like you…I do things like that all the time! AT LEAST you noticed, LOL! I love those santa cookies! I made christmas trees in 3 different colors this year. I tried to keep it simple so that I wouldn’t get so stressed out and it still took me over 9 hours to make 50 cookies. I start off loving it and then by the end my wrist is cramping and I’m frustrated and I just want to get them done. But when I see those happy faces and everyone says how good they are I know it’s worth it. I just wish they realized how long it takes sometimes before they ask me to bring them only a day before the party haha! Hello, I was just wondering, for the Santa bellies could you tell me the process you did? I tried googling how to do them or what to use and got nothing. Thank you. nothing tricky, it’s done just how it looks. I covered the cookie in red royal icing. Let that dry, then used black royal icing to draw a belt and buttons, and grey for the buckle and a little white at the bottom. Can you stack your cookies after decorating with your royal icing recipe? 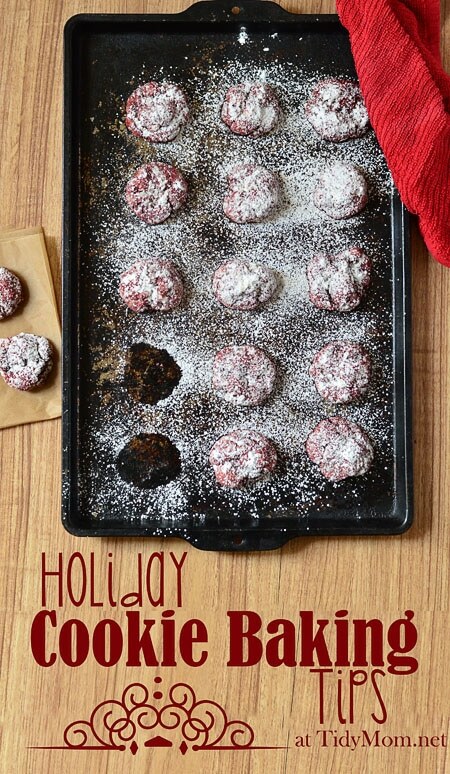 I have to take my Christmas cookies across the country this year and I need a good smudge-free icing recipe! after they dry/set for 24 hours you can stack them!